Things haven’t been going well for Charlie Miner. His work as a private investigator involves him with an endless roster of shady characters. His ex-wife is borderline crazy. And he hasn’t been getting to spend anywhere near enough time with his teenage daughter Mindy, the one person in his life who truly matters to him. When he wakes up on a slab in the morgue with a hole in his head, though, things get even worse. Just before the shooting, Charlie was investigating a case involving fraud, gold, religious zealots, and a gorgeous woman who seemed to be at the center of everything. Even with a fatal bullet wound, Charlie can connect the dots from the case to his attack. And when his daughter is abducted by someone involved, the stakes get exponentially higher. Charlie needs to find Mindy before the criminals do the same thing to her that they did to him. After that, maybe he’ll try to figure out how he’s walking around dead. 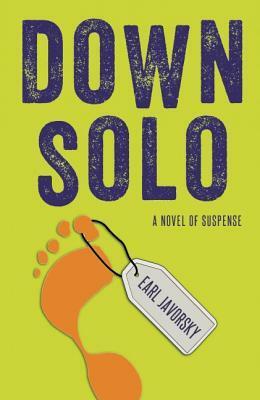 Irreverent, circuitous, and surprisingly touching, Down Solo introduces a crisp new voice to suspense fiction. Charlie Miner is a private investigator that wakes up in the morgue. It seems someone has put a bullet in his head. He can astral project and if he concentrates really hard he can reanimate his body. He doesn’t remember much but wants to know who killed him along with getting a hit if drugs. He quickly learns that drugs don’t do anything anymore but his dealer gets him started with the first step into what happened in the last 24 hours. It seems a beautiful lady came into Charlie’s life asking him to investigate fraud and some missing gold. Clearly Charlie was getting close to the answer when his ex-wife dumps his daughter on him, she was then kidnapped, and he finds himself in the morgue. I really liked this story. Charlie is not one of the best people in the world but he is very protective of his daughter and great at following the clues. I loved how you don’t find out what was really going on until the end. I like to be kept guessing and I didn’t really expect the ending. This is a great mystery and I have to admit that Charlie did grow on me. Although the book ends like it could be a standalone I know that this is the first in the series. I can’t wait to see what trouble Charlie gets into next. Private investigator Charlie Miner, freshly revived from his own murder, gets a call from Homicide Detective Dave Putnam. Self-styled “psychic to the stars” Tamara Gale has given crucial information about three murders, and the brass thinks it makes the Department look bad. Dave wants Charlie to help figure out the angle, since he has first-hand experience with the inexplicable. Trouble is, Charlie, just weeks after his full-death experience, once again has severe cognitive problems and may get them both killed. 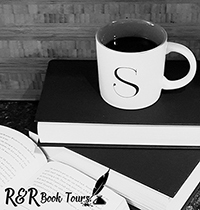 At once a riveting mystery and a completely unique character study, Down to No Good will both captivate you and work its way into your heart. Tamara Gale is a psychic that has made some predictions to the police that turn up to be the truth. Detective Dave Putnam is not impressed but calls in Charlie Miner to find out what is going on. Dave is one of a few people that really know Charlie’s situation and hopes that he can shed some light on Tamara. The trouble is Charlie is still trying to figure out his current condition and is having some troubles that might get Dave and himself killed. This is a great story with Charlie back trying to figure out what is going on with Tamara’s information on the three dead women. Of course he is very unconventional when it comes to find out the truth, but what can you expect for someone that can leave his dead body and go places that normally other’s cant. This is another great mystery that had me guessing until the end. I can’t help but cheer for Charlie as he tries to keep his battered/dead body going. This is a great series and one I recommend checking out. I can’t wait to read more about Charlie Miner. I received a complimentary copy of these books. I voluntarily chose to read and post an honest reviews. 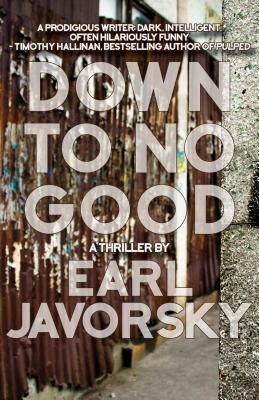 Earl Javorsky grew up in Los Angeles and attended the local community college and UCLA. He then went to Emerson College, a teacher training school in England. 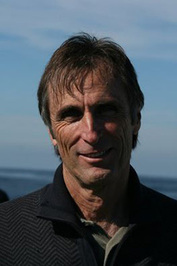 Besides having written two published novels, he has created strategically optimized content (blogs, feature articles, and web pages) for treatment centers throughout the country, taught music at Pepperdine University (Malibu campus), worked in technical sales and marketing, and been employed as a writer for several Hollywood entertainment periodicals. Additionally, he has worked as an editor and/or proofreader for several publishers, including The Story Plant,BelleBooks, and The Learning Company, as well as (on the technical side) The Bulletin of the Seismological Society of America.